Last week I was lucky enough to attend one of Spa London's newest branch openings in Kensington as part of a bloggers pampering launch party. Straight away I recognised a familiar face Angelica from One Little Vice but also had the opportunity to meet a few new blogger faces Beauty Queen UK, Copper Garden, Split the City and House of Blog. 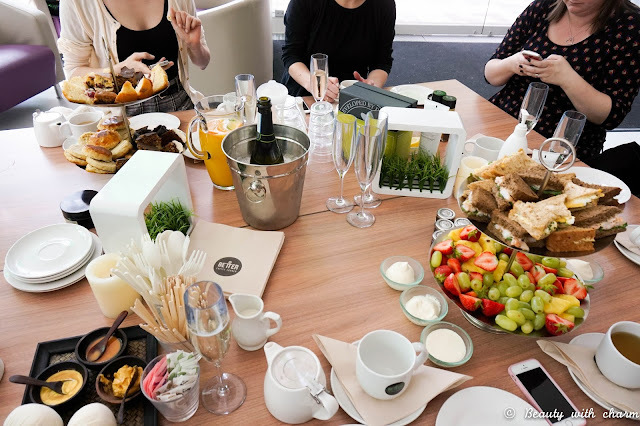 This is one of my favourite things about attending blogger events, as you get the change to connect with new bloggers which you can immediately talk to freely about anything beauty and blogging related. All 6 of us were greeted at the local cafe (part of the leisure centre where the spa is located) by our lovely hosts of the day with a huge array of sweet & savoury treats, a few glasses of bubbly and needed cups of tea. We had to opportunity to actually sit & enjoy the delicious treats for an hour before heading upstairs for our day of pampering, which was really nice as I didn't feel rushed at all. 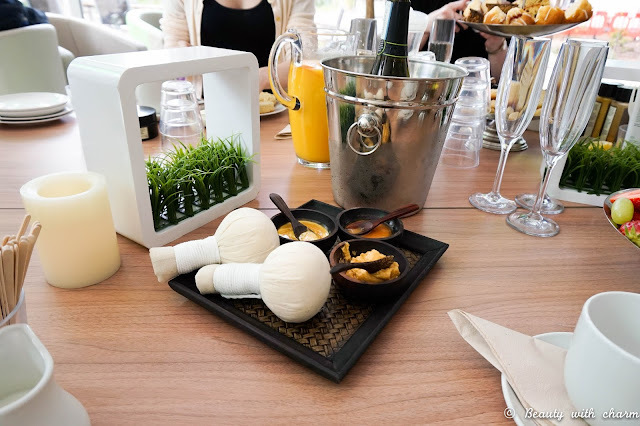 Whilst enjoying the afternoon tea we were introduced to the brand's concepts and given loads of information on what the company is all about. 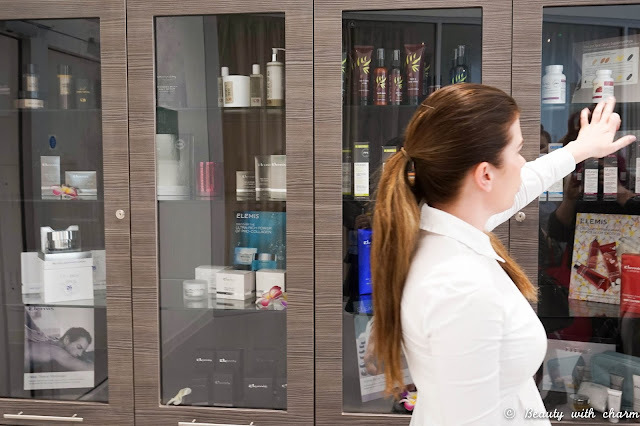 It was a real eye opener to learn that Spa London is a non profitable organisation and part of the public sector, making their prices of treatments and own brand products much more affordable than your usual spa locations. This means that people with lower budgets have the opportunity to treat and pamper themselves on a more regular basis. I just love that concept and think it's a fantastic idea. We were given two treatment options, their own signature Midas Touch Gold body treatment or the Murad facial. I decided to go with the body treatment because it's not very often my skin gets a good pamper and I also wanted to experience their own range of body products. As you can see from the photos above their own Gold products used in the treatment looks totally luxurious and smell gorgeous too (pictured in the photo you have the gold body scrub, gold oil, gold bathing nectar and thai compresses). The fact that the spa is in a leisure centre did take away from the luxurious and relaxing atmosphere you might usually expect from a spa. But considering the location and the affordable prices I still felt super relaxed & quite liked the setting. 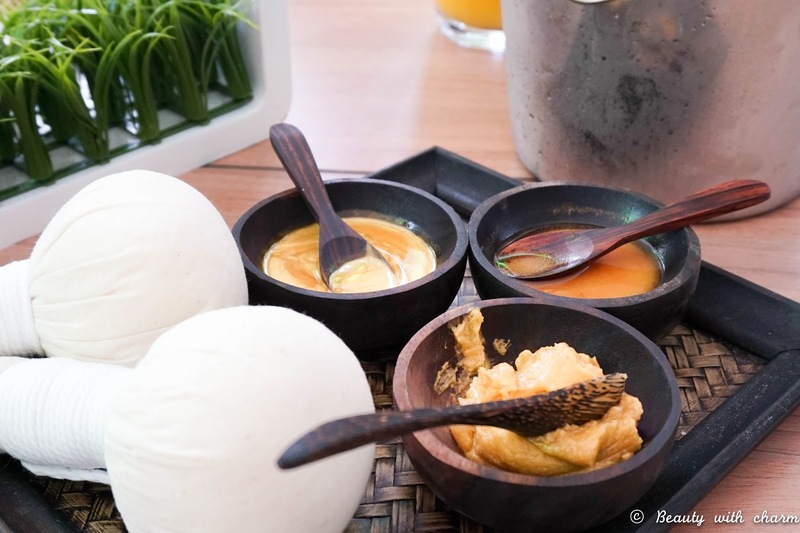 We were immediately greeted with a cool, refreshing orange juice shot and then given our spa bags which contained everything you needed for the time spent in the spa; flip flops, bathrobes and a towel. 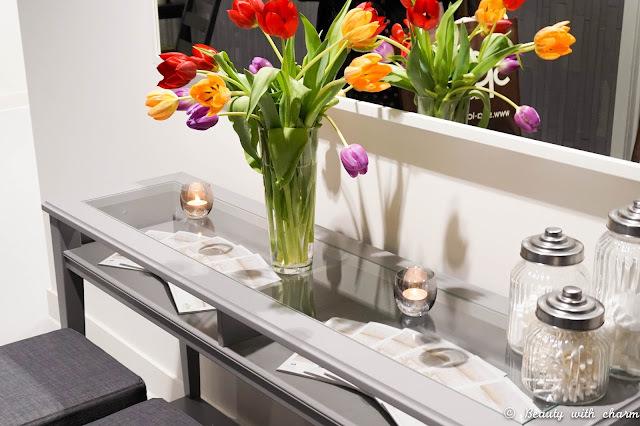 We were taken in groups of two for our chosen treatments and I decided to wait a while before having my treatment so I could enjoy the Thermal Suite. The rest of the girls and I giggled our way through the sauna and steam room, but most of all enjoyed the jacuzzi as we had a good chat about everything and anything beauty related. 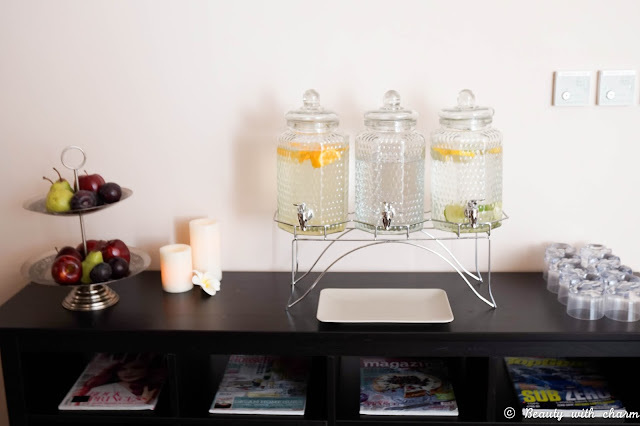 Once my turn for having the body treatment came around I felt super relaxed so I was able to immediately settle into my treatment as I enjoyed every minute. The full Midas Touch treatment last 90mins (amazing I know) but we only had a shorter introductory option lasting 30 mins, where my body was cleansed and polished with the body scrub (such a lovely scrub, it felt super luxurious on the skin and it didn't feel too harsh), followed by a Thai style compress massage using the gold body oil. I left the room feeling super soft and moisturised, perfect treatment for summer as your body is left feeling amazing. Thank you so much to the wonderful team at the Kensington branch, I really enjoyed my afternoon. 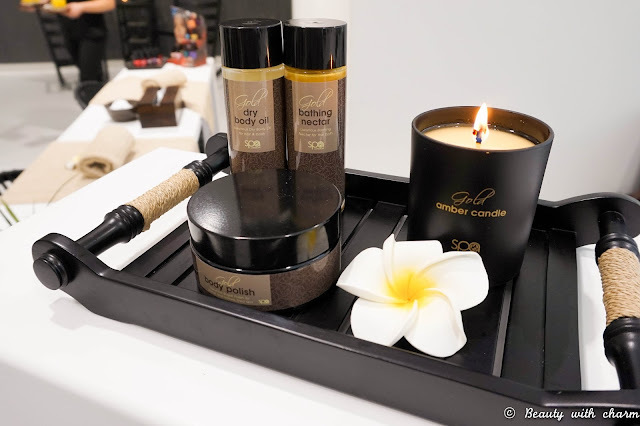 I'm so glad I have discovered Spa London and have just realised theres a branch much closer to where I live, so going back to get the full Midas Touch treatment is very tempting at the moment. 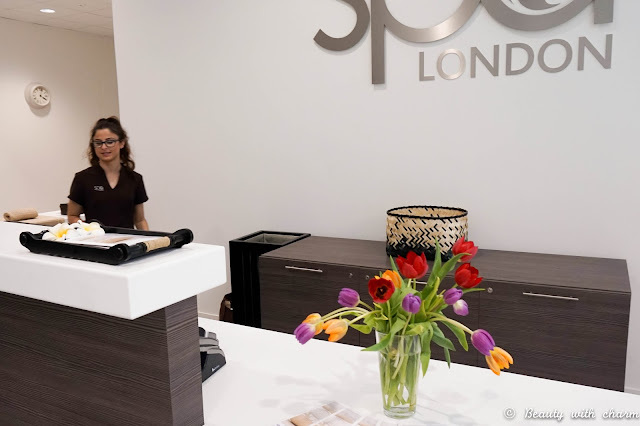 Does Spa London as a brand appeal to you? Will you be visiting one of their 7 branches around the city?